If you visit a newly constructed house which is not yet furnished, you wouldn’t quickly be able to differentiate one area from the other. However, if you visit the same house after it is fully furnished with all accessories in it, a quick look would be enough to name the different zones as — bedroom, living room and a dining room etc. Every area of a house has its own specific interior, with some special accessories placed in it which separate it from rest of the parts. For instance, the main thing which differentiates a bedroom from a living room, is ‘bed’. Therefore, being a main accessory it should be chosen while keeping key factors in view. Your interior designer can best guide you about which type of bed is good to go with your bedroom theme. Even there are some interior designing and architectural firms such as Amer Adnan Associates, which design unique theme-based interiors by using their own designed furniture. Let’s see which key points a professional interior designer in Pakistan will consider while choosing a bed for your bedroom. Taking the size and dimensions of a bedroom is the most important and preliminary step because it could be smaller, larger, square and rectangular in shape. If you visit your nearby market or search on the internet, there will be hundreds of designs which you may like but every bed design that pleases your eyes, may not necessarily fit in your bedroom too. For instance, for smaller rooms, you can use wall beds, which can be folded back in a wall during day time or when you are not taking rest. Which kind of theme you want to give to your bedroom? 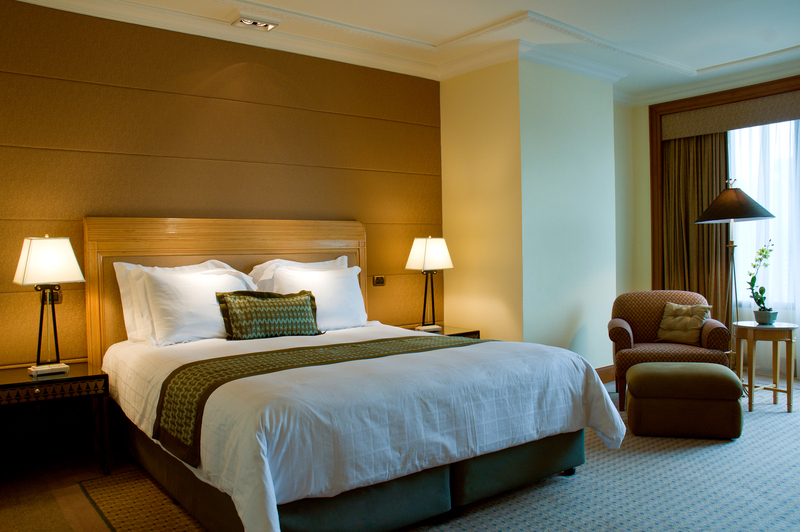 Do to you want to go for a traditional style bedroom or a modern-theme sleeping room is your choice? Although, both can carry a luxurious feel but the ambiance of each is different from the other. A traditional bedroom usually has four-poster bed with intensive carvings and curves on it. Moreover, a Divan or Sleigh Bed can also be used in a traditionally styled bedroom. On the other hand, in the contemporary style bedroom, a simple bed with low height is placed which gives a sleek but highly comfortable feel. A trundled bed, a platform bed and a wall bed are used in modern bedrooms. For every kind of bedroom theme, there is limitless availability at your disposal but it is your choice how you want to decorate it. For instance, for a classic bedroom you can choose a four-posted bed, a divan or a sleigh bed but the choice is never going to be random, because you need to pick the one that best suits your room’s size and theme. If your room is smaller, where placing side tables is not possible, you can go for a divan bed, as it has enough storage spaces underneath where you can keep your items of immediate use. A canopy bed can be used both in a classic as well as in a modern bedroom with small variations in designs. If your bedroom is larger enough and it has a high room, then choosing this type of bed is the best choice. It is not just your bed you need to spend on; instead there are various other accessories of a bedroom, which you need to purchase. Therefore, you must keep your budget in view while making a selection. By considering all the necessary factors in view, you can design a bedroom that truly depicts your interior designing taste.